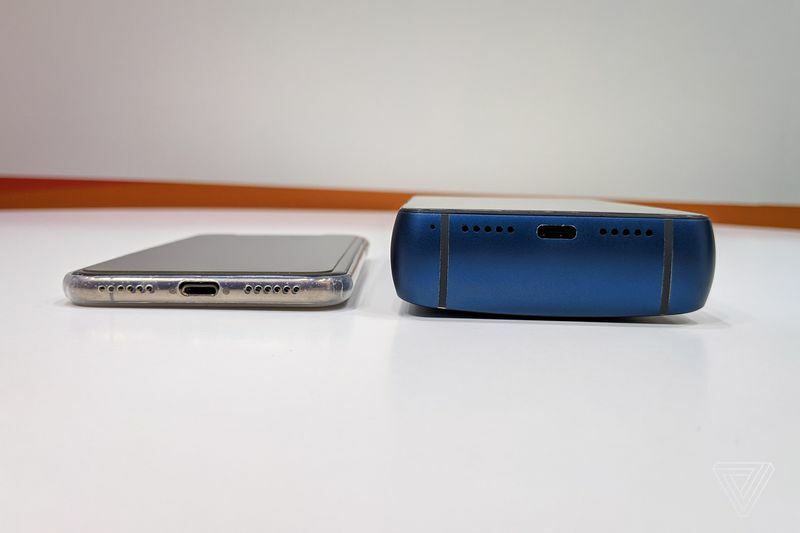 I told you MWC 2019 would be a show where things got weird, but even I didn’t anticipate a company being wild enough to build a phone with an 18,000mAh battery. But here I am, in awe of the mighty girth of the Energizer Power Max P18K Pop. France’s Avenir Telecom licenses the Energizer brand, and it makes the most of it with devices that push the boundaries of specs and sanity. This dark blue unit measures in at 18mm of thickness, according to Avenir’s spec sheet, but stacking it side by side with a more conventional smartphone, I’d say a more accurate articulation of its thickness would be about 3.5 iPhones. This phone is immense. Or is it technically a battery with a phone in it? An epic battery of such proportions had better last a long time, and Avenir promises a week’s worth of use, or two full days, 48 hours, of continuous video playback. That sounds conservative since we got a week from a phone with a battery measuring about half as large. If data surveillance services weren't hardcoded into the OS and weren't constantly phoning home, using our cameras, microphones, processors and internal storage to steal from and spy on us when we don't even have our phones unlocked I'd bet current battery technology would go quite a ways farther without the need for sticking screens on laptop batteries. Ever wonder why your phone heats up like a mofo in your pocket when you have no apps on and aren't even using it? That's why, what ever spaghetti code monstrosity these ad companies use to collect data is so badly coded that it runs your processor at near capacity just to turn on the bloody microphone.